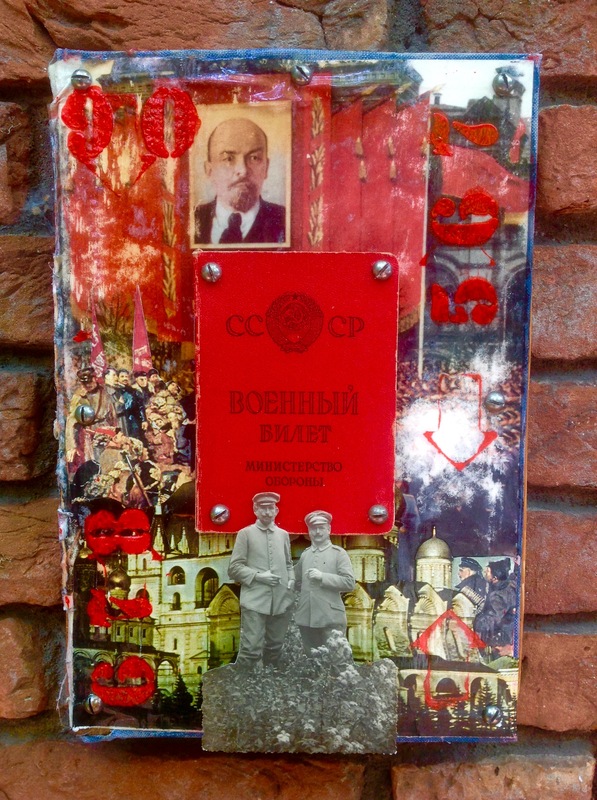 Pigment transfer with acrylic paint, CCCP booklet and original photo on driftwood. 20x30x2cm. 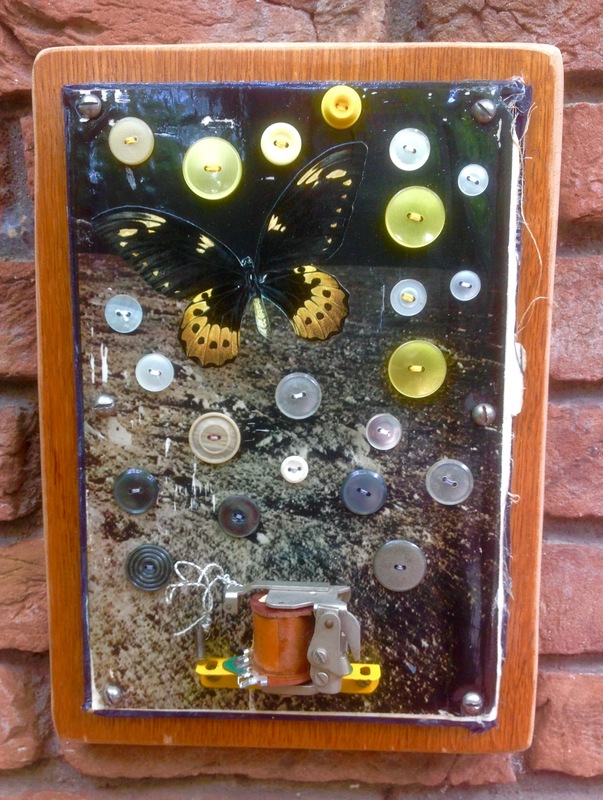 Pigment transfer, buttons, collage and parts of a lamp on hard bookcover. 17x30cm. 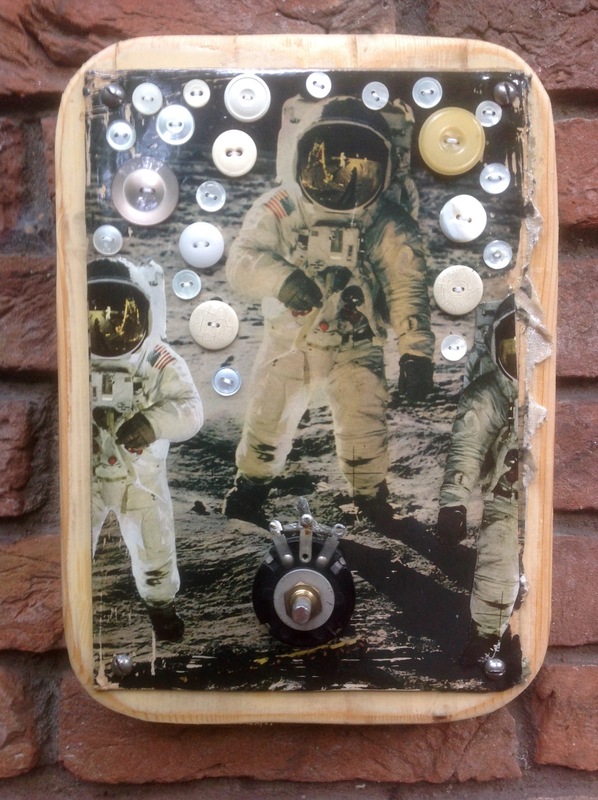 Pigment transfer with buttons and electric part on hard book cover. 20x30x4cm. 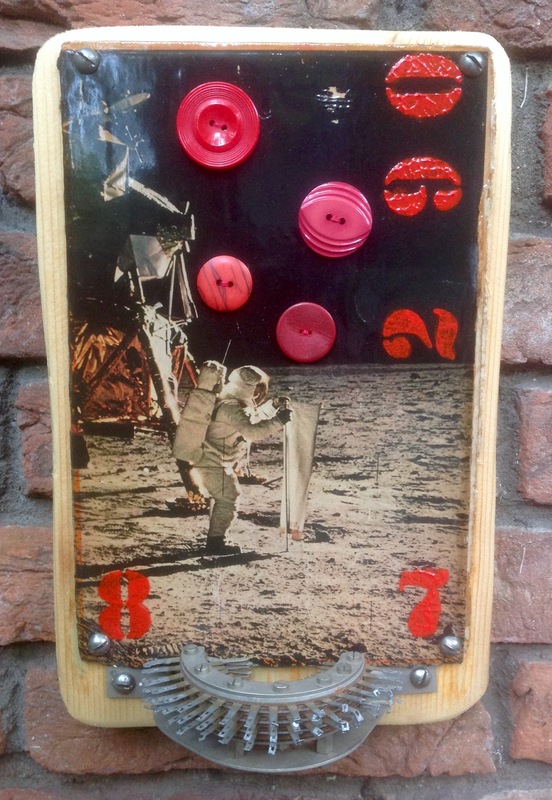 Pigment transfer, buttons and acrylic paint on hard bookcover. Screwed on driftwood. 20x30x2cm. 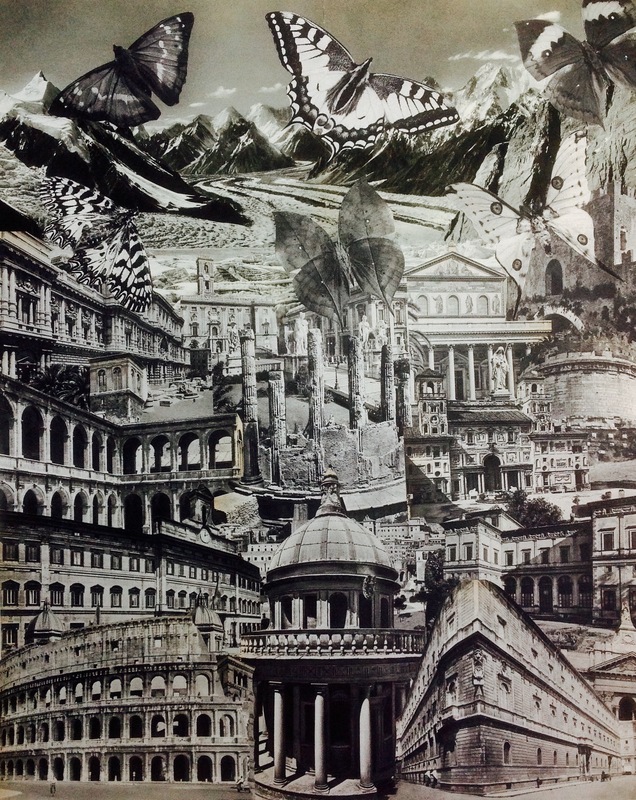 Handmade collage with images of Rome in the fifties and sixties. 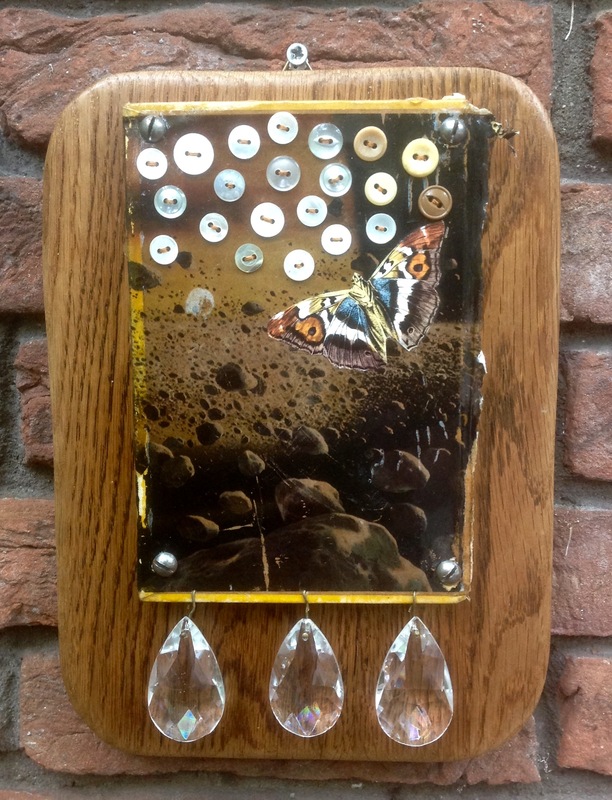 40x50cm/16x20inch. 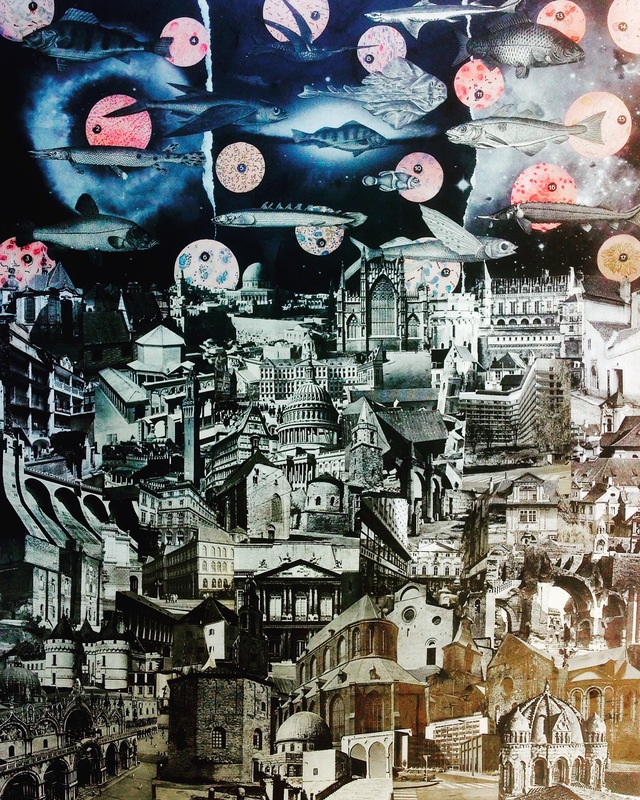 Handmade collage on 300 grams paper. 40x50cm/16x20inch. The coloured balls in the sky are actually examples of different sorts of bacteria.